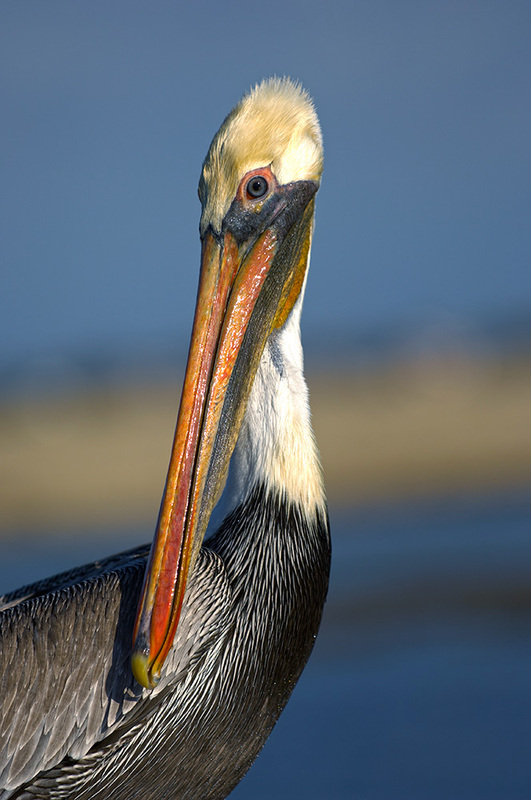 The oldest recorded Brown Pelican lived to be 43 years old. 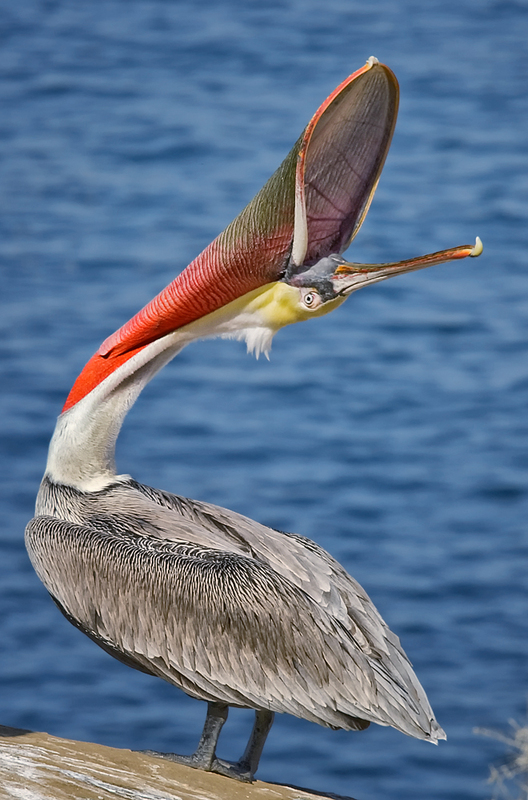 During courtship, birds on the Pacific Coast develop extensive bright red on their pouches; most pelicans on the Gulf Coast and Atlantic Coast have dark gray-green pouches. 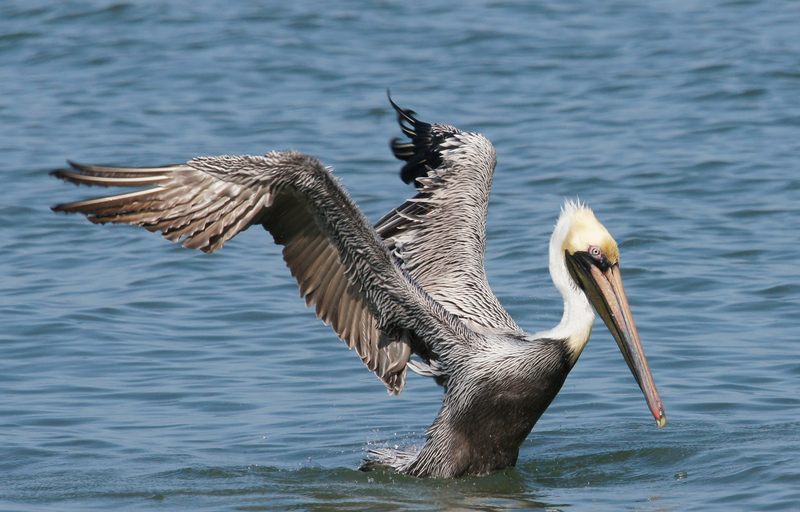 Contrary to popular legend, pelicans do not store food in their pouches. 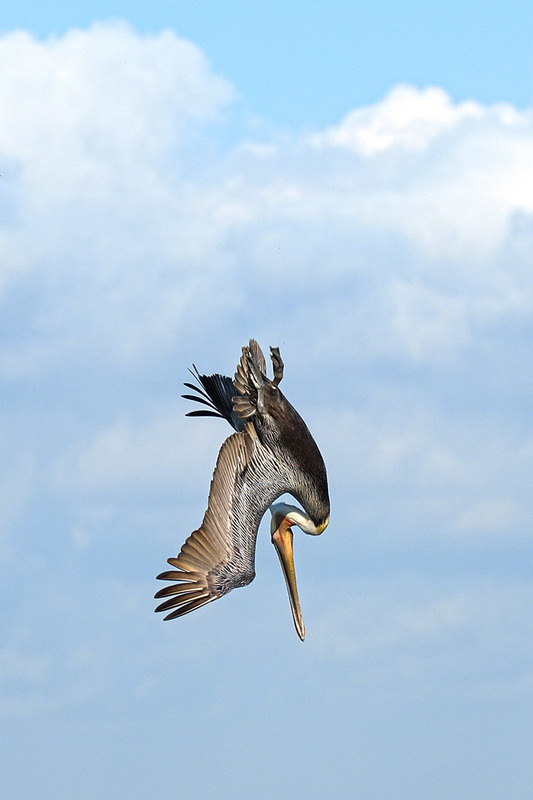 A plunge-diving Brown Pelican hits the water with its body twisted to the left. This probably helps avoid injury to the trachea and esophagus, which are located on the right side of the neck. An icon of coastal waters, this species is projected to lose 54 percent of current winter range by 2080, according to Audubon’s climate model. A potentially significant expansion of range may be possible—but much of this is well away from the coastal areas required for this species. One big uncertainty facing the bird in the coming decades is how climate change will affect its prey fish, even along its required coastal habitats. 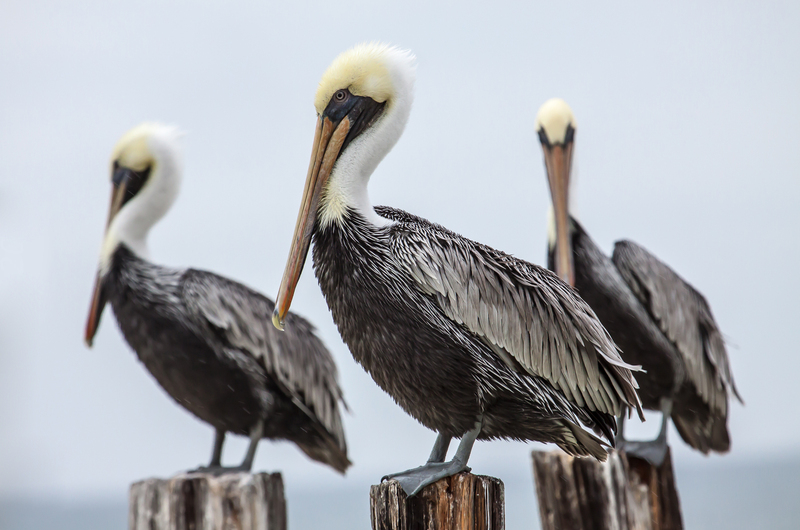 An ungainly looking bird, with its oversized bill and stocky body, the Brown Pelican is an elegant flier. When traveling it may glide low above the surf; when hunting it will perform spectacular dives, from as high as 60 feet, plunging into the water to scoop up a fish in its bill pouch. A highly sociable bird, the pelican is often seen roosting or flying in large groups. It lives year-round in estuaries and coastal marine habitats along the shores of the southern half of the United States, Mexico, Central America, and the Caribbean. Young pelicans frequently venture north during warm months only to encounter potentially lethal winter storms and irregular food supplies later in the season. 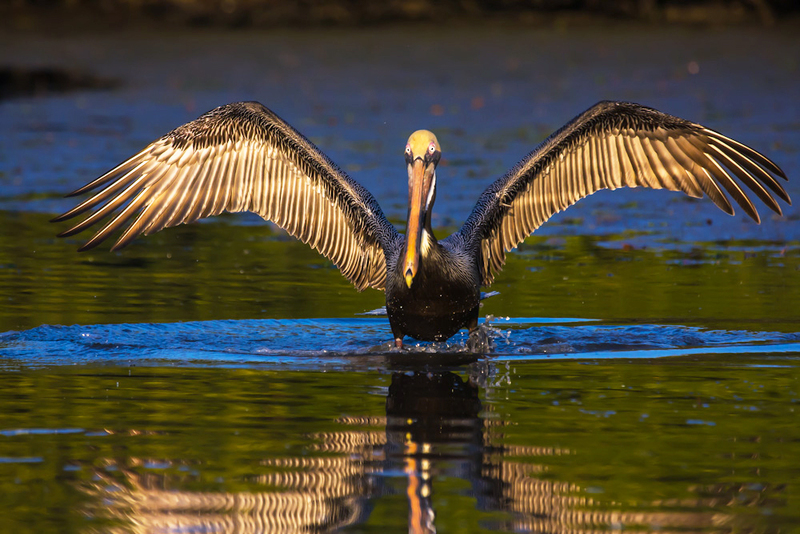 The pelican has rebounded from seriously reduced numbers, thanks to the banning of DDT and rigorous recovery efforts.